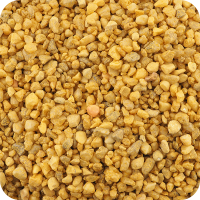 Sandtastik® Decorative Gravel, Gold, 2 lb (908 g) Add color and texture to clear glass vases and terrariums with these gold 1 – 4 mm decorative gravel stones. Functional as well as decorative, they are ideal to add visual appeal and a colorful effect while allowing water filtration. Features Ideal for vase filler, terrariums, potted plants, water features a..
Sandtastik® Decorative Gravel, Silver, 2 lb (908 g) Add color and texture to clear glass vases and terrariums with these silver 1 – 4 mm decorative gravel stones. Functional as well as decorative, they are ideal to add visual appeal and a colorful effect while allowing water filtration. Features Ideal for vase filler, terrariums, potted plants, water featur..